*Before I start, may I ask you to help me with those recaps simply by upvoting news related comments, especially ones you find interesting, informative, and related to the topic. It would really help me a lot and you will be able to get better recaps from me. The week started, as usual for this period, with another Tribute store release, this time we got Versace Tribute! On Wednesday, we got one 'ordinary' release - new collection in Rio store. Like I said, nothing unusual, just an ordinary release. Good for those less fortunate users, as they get a chance to buy nice stuff for affordable prices, instead of paying quite more for real brands and Tribute stores. Few starcoin items, of course. But there are only a few things I like, and I rarely buy from those stores, as I'd rather spend my stardollars on more 'valuable' stuff. Though there is a nice pair of white shorts, also a white pants, and a pink shorts - items that did catch my attention and I plan on buying, if Stardoll ever puts them on sale. Upon seeing the change, I rushed to my suite to see if they changed something else, something we've been waiting for a really long time - but nothing, no update, not yet. It is ok, we can wait. 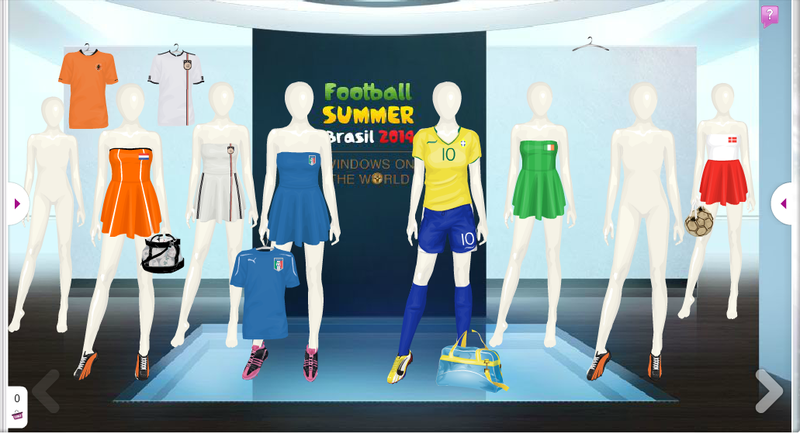 A new/old collection of Windows of a World got released, this time for a World Cup 2014. 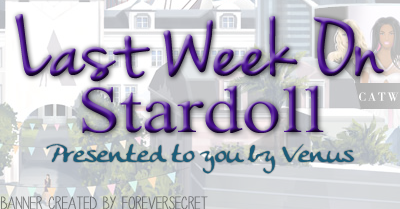 Another great moment of a week was definitely a Sephora store coming back to Starplaza. Well, as you can see, not the whole collection got re-released, and the make up will be available only for a limited time, which is 1 month.Wish I knew that sooner, before rushing to buy everything I did not own already. Which was kinda hard, because the re-released items and the original items have different id numbers, meaning I didn't get 'you already own it' message when clicking on item. Not to bother you with details, but it took a while until I was sure I owned everything. 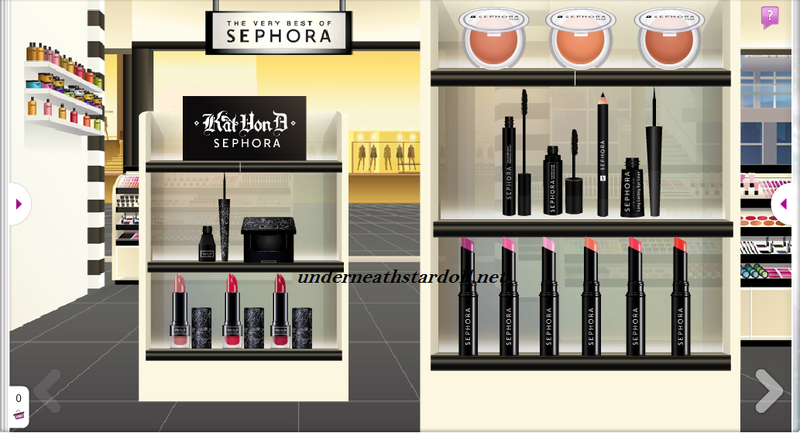 About the collection - Sephora remains the best make up store ever released on Stardoll, with natural colors, and really great shades. The best items are, in my opinion and as I said in comments, Kat Von D lipsticks, specifically the 1st and 3rd from the pic above. I use them in about 90% of my make up looks, and they even look better with Luxe lip gloss. The 1st one is soft color and looks great with heavier eye make up, while the other one looks more mature and should be used with ligher make up. Prices - well, according to prices of actually good make up stores, like Transform and Luxe, they are quite cheaper. But according to first time Seohora got released, the items were about half a price from this release. All things considered, this is definitely a good deal, and luckily, the items are available to everyone, so if you are interested, you have less than a month to buy them, and I'd say just buy them all, you won't regret that! Wow. I felt really inspired writing this post. Maybe because I was alone in my room, and not in rush, and the releases and updates seemed interesting. Anyway, I hope you liked my recap, now chose your favorite moment by voting in a poll, and maybe share your opinion in comments. See you soon. New Stardesign hair pieces have been released. Free necklace from "In the middle books"
Stardoll Make-Over: Red Carpet Ready!